December 30, 2018 - David Hines - Marching for love? or marching for hate? November 25, 2018 - Clay Nelson - What defines a Unitarian? September 23, 2018 - David Hines - Does New Zealand put too many people into jail? September 9, 2018 - Clay Nelson - Is Free Speech Free? August 5, 2018 - Clay Nelson - The Ditch grows wider. How should we respond? July 22, 2018 - Clay Nelson - Are you living the life you chose or the life that chose you? July 8, 2018 - Clay Nelson - Does New Zealand need Unitarianism? July 1, 2018 - Rachel Mackintosh - Human rights. Whose rights? Our rights! May 27, 2018 - David Rohe - We’re at church, so what?! April 1, 2018 - Clay Nelson - April Fools Arise! March 4, 2018 - Clay Nelson - #MeToo: a Will-o’-the-wisp or revolution? February 25, 2018 - Guest Post - Why should we care? December 3, 2017 - Clay Nelson - What are we waiting for? November 19, 2017 - David Hines - How many atheists does it take to change a lightbulb? October 22, 2017 - David Hines - How many white lies is too many? September 10, 2017 - Clay Nelson - Election Reflections. August 20, 2017 - David Hines - Good outcomes from broken homes? August 6, 2017 - Clay Nelson - When is breaking the law a moral imperative? July 23, 2017 - Clay Nelson - To whom does a non-theist pray? April 16, 2017 - Clay Nelson - Ignore Easter? So tempting. January 29, 2017 - Kurt Payne - Queer divinity: how do queer people relate to the divine? 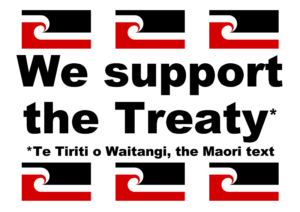 November 27, 2016 - Guest Post - What does the Treaty of Waitangi mean for ourselves and our church? September 25, 2016 - Clay Nelson - Who knew? Unitarians Evolve! August 28, 2016 - Clay Nelson - What Is Beauty? August 21, 2016 - Clay Nelson - Can Love Trump Hate? August 14, 2016 - Guest Post - Mexica Spirituality: honouring the earth, water, fire and wind. July 17, 2016 - Steff Werman, Nancy Howie - Little Boxes: Exploring voluntary simplicity. May 29, 2016 - Clay Nelson - Do Unitarians go to Heaven? May 8, 2016 - Clay Nelson - What Is At The Root Of Everything That Is Wrong? April 17, 2016 - Clay Nelson - The Trumpocalypse: How did we get here? April 3, 2016 - Clay Nelson - Is New Zealand Safe From Trumpism? March 27, 2016 - Clay Nelson - Reality versus Illusion: How do we know which is which? March 13, 2016 - Clay Nelson - Are You a Mystic? November 29, 2015 - Clay Nelson - Does the Kingdom of God need God? November 8, 2015 - Clay Nelson - What Would the Goddess Do? October 18, 2015 - Vivienne Allen - How might Unitarians respond to the Syrian refugee crisis? October 4, 2015 - Clay Nelson - What’s Wrong with the Living Wage? September 27, 2015 - Clay Nelson - Why Celebrate Sacrifice? September 6, 2015 - Clay Nelson - Who is Krishna and Why Should We Care? August 30, 2015 - Clay Nelson - A “Brand New” Testament: What if Jesus got a Do-over? July 26, 2015 - Clay Nelson - Progressive Christianity: Oxymoron or Unitarian? July 12, 2015 - Clay Nelson - Euthanasia: Is Life Sacred? May 31, 2015 - Clay Nelson - Do the American Transcendentalists have Anything to say to Kiwi Unitarians? April 5, 2015 - Clay Nelson - Easter? Bah Humbug! November 23, 2014 - Clay Nelson - When is Enough Enough? October 5, 2014 - Clay Nelson - Rescuing the Bible for UUs. July 6, 2014 - Corinne Henrikson - What Would You Do When/If a Physical Disability Enters Your Life? October 27, 2013 - Guest Post - Sharing Unitarianism – Is it All About Me? September 8, 2013 - Rev. Matt - What is Unitarian Universalism? March 3, 2013 - Rev. Matt - Why Am I Here? October 21, 2012 - Christine Whelan - Who Are You Going To Blame? September 16, 2012 - Jonathan Mason - Can Unitarians Help to Save Our Planet? September 9, 2012 - Christine Whelan - Power of the Positive? June 3, 2012 - Eric Stierna - Spiritual Silicon: How has technology impacted our spiritual journey? May 27, 2012 - Dawn Elvidge - God or Godswallop? May 6, 2012 - Vivienne Allen - What does Unitarianism have to offer an Atheist? February 19, 2012 - Christine Whelan - Resistance is Futile, Isn’t It? August 21, 2011 - Marty Behrens - Unitarianism – Dead, Boring or Both!